Chris Froome has declared that his spat with Sky Procycling teammate Bradley Wiggins is over, after the two British Tour de France winners buried the hatchet at the team’s Mallorca training camp. 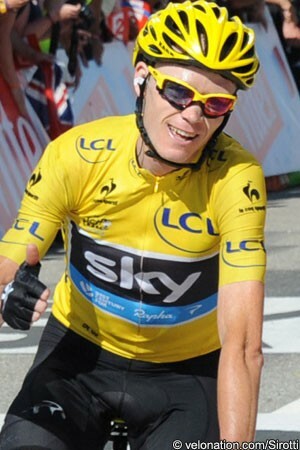 In an interview with the Daily Mail, Froome confirms that he has cleared the air with Wiggins, over the division between them that has existed since the 11th stage of the 2012 Tour, as they climbed to the summit finish at La Toussuire-Les Sybelles. “The fact is Brad and I have just been on a training camp together in Mallorca and we’ve had a talk about things,” Froome said. “It was very constructive and we are in a good place now. It was important we did that and it was important for the team, too. “To be honest we should have done it a very long time ago, just to clear the air, but we are on good terms now,” he added. Froome rode the 2012 Tour in support of Wiggins, but was clearly climbing better than his captain as the race made its way through the Alps. This was exposed on the La Toussuire climb as Froome accelerated in the final kilometres, and put Wiggins on the back foot. He quickly dropped back to his leader, but relations had been sour between the two riders ever since. The ensuing Twitter storm involved Wiggins’ wife Cath becoming involved, as well as Froome’s girlfriend Michelle Cound. “Michelle got caught in the crossfire, too,” Froome said. “At the end of the day she has her opinions and they’re not necessarily my opinions. But she’s very passionate about supporting me when she sees negative things. She’s just being loyal to me. “It was a huge misunderstanding where I thought I was reading the race right,’ he said of the incident on the climb. “I thought the race had evolved in such a way that opened the door for me to go. Obviously it was the wrong moment. “And I thought if something happens to Brad, like it had the previous year when he crashed, I want to be in the strongest possible position if I’m then asked to take over. It didn’t even cross my mind to attack Brad. 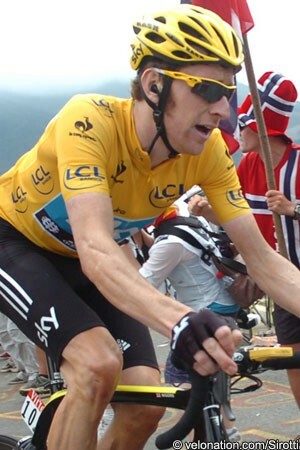 Wiggins, whose Knighthood was invested by Queen Elizabeth II at Buckingham Palace this week, has yet to comment on his current relationship with his teammate, but has hinted recently that he would like to ride the 2014 Tour - which starts in Yorkshire, not far from Wiggins’ Lancashire home - in support of Froome.